The Future is Here: First Brain-to-Brain Interface! In a first amongst firsts, a team of international researchers have reported that they have built the first human-to-human brain-to-brain interface; allowing two humans — separated by the internet — to consciously communicate with each other. 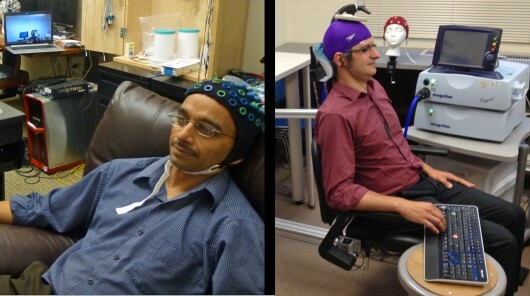 One researcher, attached to a brain-computer interface (BCI) in India, successfully sent words into the brain of another researcher in France, who was wearing a computer-to-brain interface (CBI). 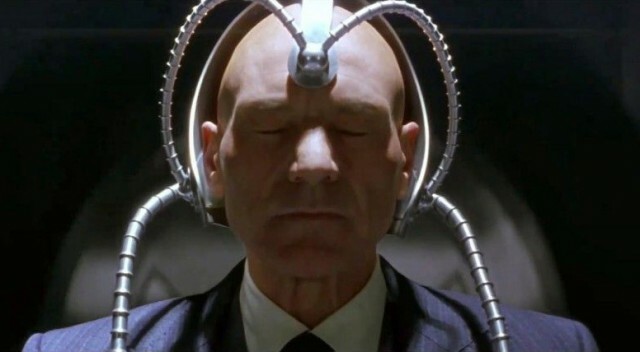 In short, the researchers have created a device that allows people to communicate telepathically. And it’s no surprise, given the immense amount of progress being made in the field. Over the last few years, brain-computer interfaces that you can plug into your computer’s USB port have been commercially available. And in the last couple of years we’ve seen advanced BCIs that can be implanted directly into your brain. 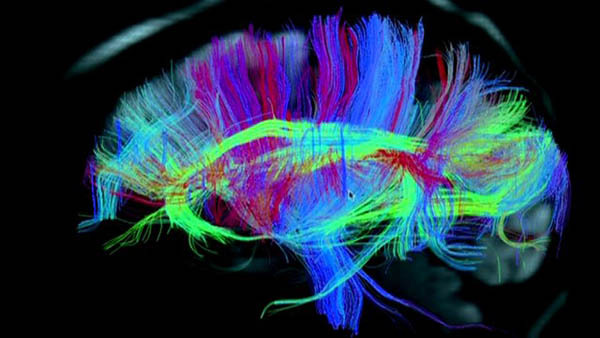 Creating a brain-to-brain connection is a bit more difficult though, as it requires that brain activity not only be read, but inputted into someone else’s brain. Now, however, a team of international researchers have cracked it. On the BCI side of things, the researchers used a fairly standard EEG (electroencephalogram) from Neuroelectrics. For the CBI, which requires a more involved setup, a transcranial magnetic stimulation (TMS) rig was used. 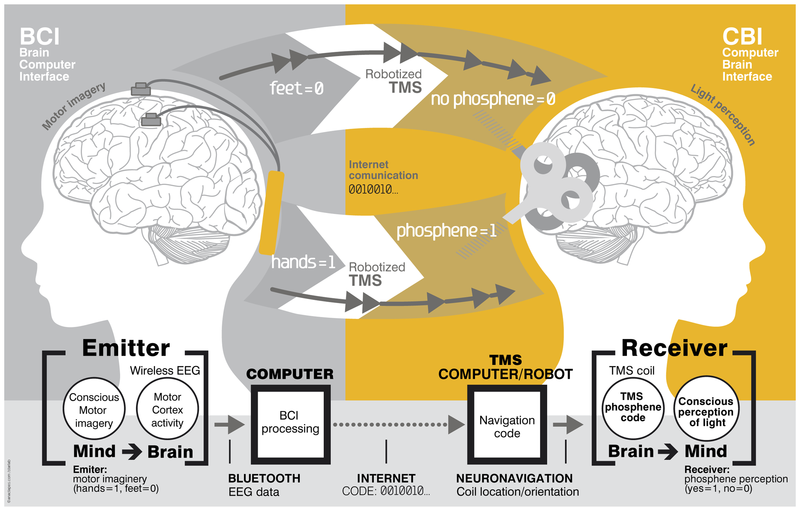 To break the process down, the BCI reads the sender’s thoughts, like to move their hands or feet, which are then broken down into binary 1s and 0s. These encoded thoughts are then transmitted via the internet (or some other network) to the recipient, who is wearing a TMS. The TMS is focused on the recipient’s visual cortex, and it receives a “1″ from the sender, it stimulates a region in the visual cortex that produces a phosphene. This is a phenomenon whereby a person sees flashes of light, without light actually hitting the retina. The recipient “sees” these phosphenes at the bottom of their visual field, and by decoding the flashes — phosphene flash = 1, no phosphene = 0 — the recipient can “read” the word being sent. While this is certainly a rather complex way of sending messages from one brain to another, for now, it is truly state of the art. TMS is somewhat similar to TDCS (transcranial direct-current stimulation), in that it can stimulate regions of neurons in your brain. But instead of electrical current, it uses magnetism, and is a completely non-invasive way of stimulating certain sections of the brain and allowing a person to think and feel a certain way. In short, there doesn’t need to be any surgery or electrodes implanted into the user’s brain to make it happen. This method also neatly sidestep the fact that we really don’t know how the human brain encodes information. And so, for now, instead of importing a “native” message, we have to use our own encoding scheme (binary) and a quirk of the visual cortex. And even if it does seem a little bit like hard work, there’s no denying that this is a conscious, non-invasive brain-to-brain connection. With some refinement, it’s not hard to imagine a small, lightweight EEG that allows the sender to constantly stream thoughts back to the receiver. In the future, rather than vocalizing speech, or vainly attempting to vocalize one’s own emotions, people could very well communicate their thoughts and feelings via a neural link that is accommodated by simple headbands with embedded sensors. And imagine a world where instant messaging and video conferencing have the added feature of direct thought sharing. Or an The Internet of Thoughts, where people can transfer terabytes worth of brain activity the same way they share video, messages and documents. Remember, the internet began as a small-scale connection between a few universities, labs and research projects. I can foresee a similar network being built between research institutions where professors and students could do the same thing. And this could easily be followed by a militarized version where thoughts are communicated instantly between command centers and bunkers to ensure maximum clarity and speed of communication. My how the world is shaping up to be a science fiction novel! Please tell me this is satire because as enticing as it seems it is also scary as can be. Interesting and scary. I see one major problem: finding enough people with brains. I know that sounds like I’m being a smartass, and I am, sort of, but I come across more and more people that make me wonder how they manage to not drool all over themselves. Bwahaha! That’s some good misanthropy there, Casey. And sadly quite accurate.